Certain phytonutrients found in raspberries can protect us from cancer and can even shrink some types of cancer tumors. Raspberries contain ellagitannins, one of the most powerful antioxidants known. Ellagitannins occur naturally in over forty different foods, but are found in abundance in raspberries, strawberries and pomegranate. 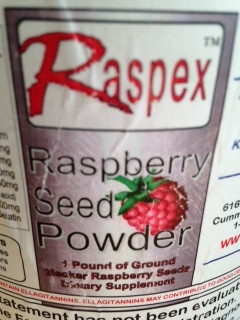 However, red raspberry seeds, and the Meeker variety in particular, appear to be the most concentrated source of this beneficial phenolic complex. Interestingly, the seeds of the fruit contain more ellatitannins than the fruit itself. Ellagitannins are large flat molecules found in the fruit and seeds of many fruits. Ellagitannins are water-soluble, making them easy for the body to absorb. After consumption, stomach acids convert these ellagitannins into ellagic acid. It is important to know that as such, that ellatitannins should be obtained from food, not as supplemental ellagic acid. There has been much research into ellagic acid. Its value as a potent anti-oxidant and its value in fighting cancer is widely accepted. Ellagic acid has been shown to keep cancer cells from dividing and multiplying and eventually helps to kill the cancer. Ellagic acid inhibits angiogenesis—a term used to describe the development of blood vessels needed for tumor growth. It also encourages apoptosis (cancer cell death.) Ellagic has been quite successful against esophageal, breast, colon, prostate, and skin cancer. Studies have shown that ellagic acid may help prevent the development of cancer in cells infected with the human papilloma virus, which has been linked to cervical cancer. 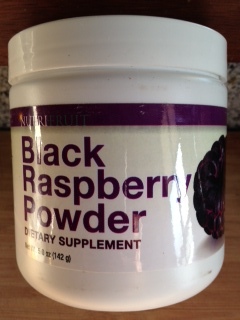 Studies show that black raspberries kill cancer cells and activate tumor suppressor genes.